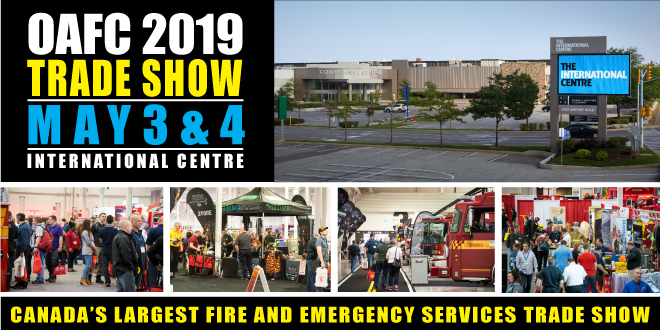 Each year the OAFC Trade Show offers a small quantity of complimentary booths to non-profit organizations who contribute in a positive way to the fire service. The complimentary booths are selected at the discretion of the OAFC. All requests will be considered on a case-by-case basis and will depend on available space. If you are interested in submitting a request for a complimentary booth, please complete the following form. A follow-up will be made to all applicants. The deadline for applications is April 1, 2019. Complimentary booths are bound by the OAFC Trade Show terms and conditions. If you have any questions, please contact Kris Newton by email to kris.newton@oafc.on.ca or at 905-426-9865 x224. Please include all give-aways and potential financial transactions.